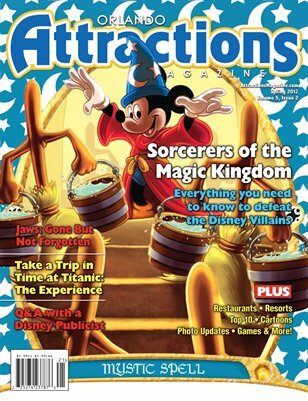 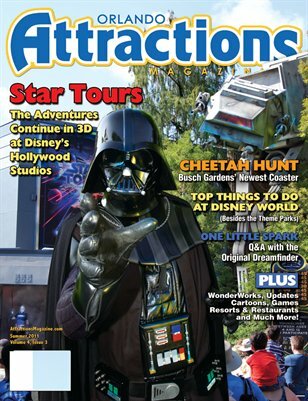 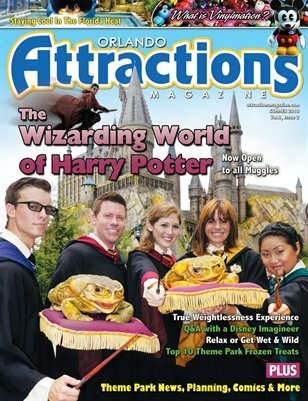 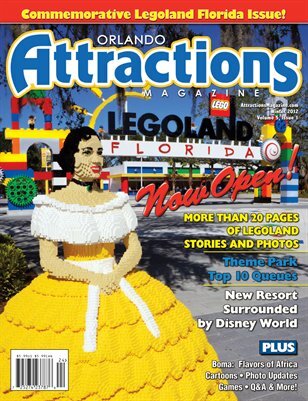 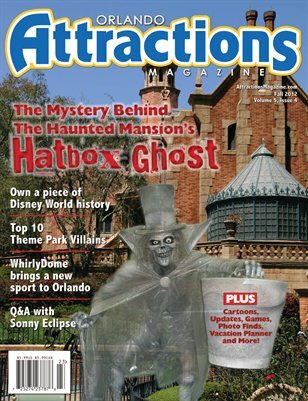 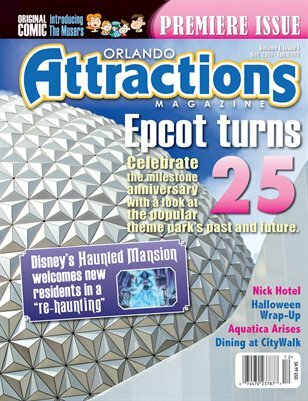 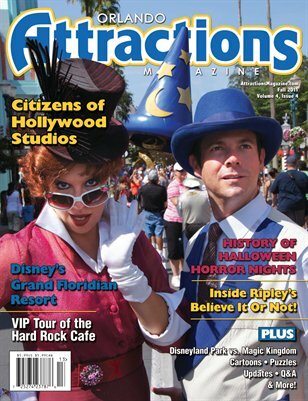 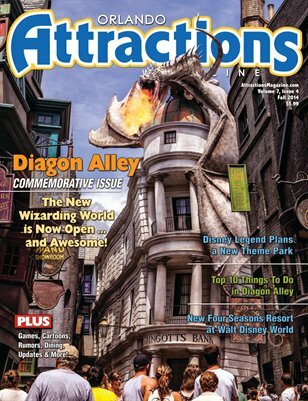 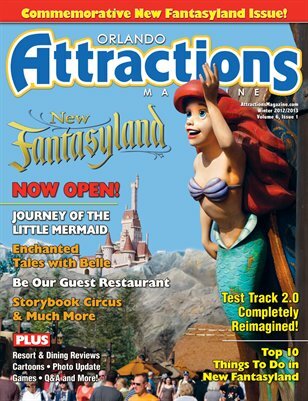 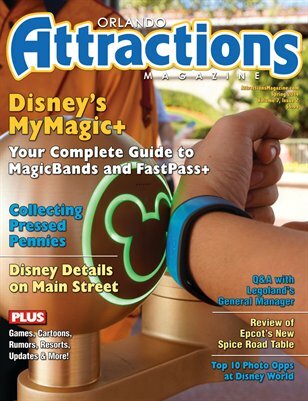 Orlando Attractions Magazine is the only magazine available that covers all of the Orlando area theme parks, tourist attractions, restaurants and more with news, in-depth feature articles, attention-grabbing photos, updates and interviews. 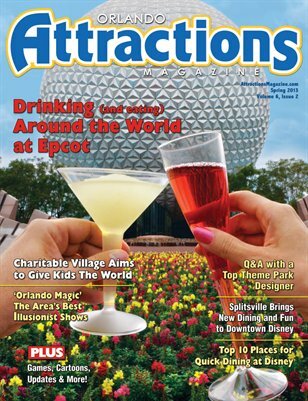 Each issue of Orlando Attractions Magazine will give readers insight into their favorite happenings at the major theme parks, as well as attractions on International Drive, U.S. Highway 192 and other tourists areas of Orlando. 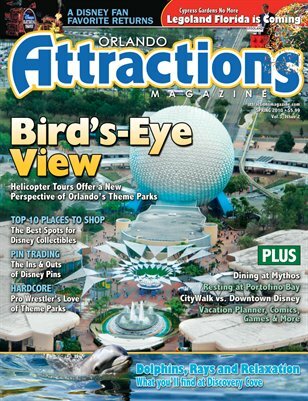 • COVER STORY: A Different Perspective Helicopter tours offer a unique view of Orlando. 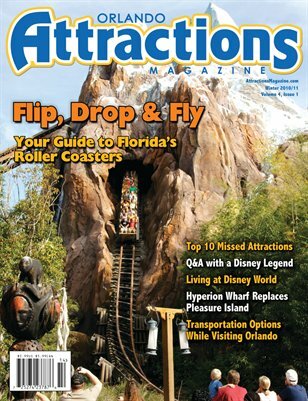 Your guide to Florida's biggest and best coasters. 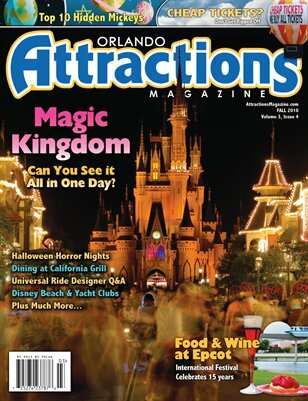 One man's tale of a record-breaking day. 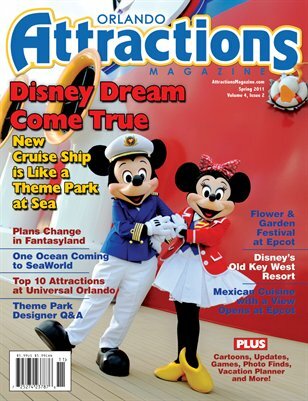 Find out what's new and different on Disney's newest ship. 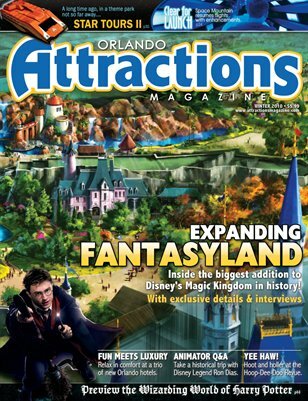 • COVER STORY: A Whole New World Reimagined and expanded Fantasyland to deliver more magic than ever before. 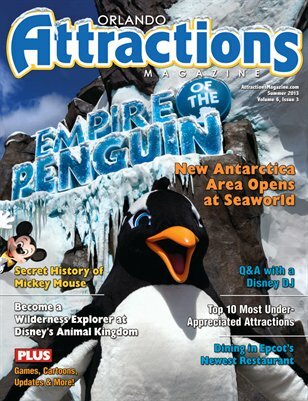 • Aquatica Find out about SeaWorld's new waterpark.